You know that Marian and I have a taste for wine, steak, and similar goodies, but our musical tastes have run more to chamber music and opera. Well, tastes can change, and that seems to be happening as we abandon preconceived notions about jazz. 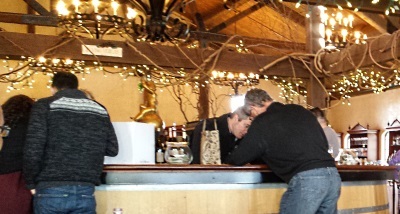 The Long Island Winterfest 2014 Live on the Vine music series is providing us with a terrific opportunity to get out, enjoy some wine, and listen to great live jazz performances in North Fork winery and restaurant settings. It’s brilliant idea, and we are having a great time expanding our musical envelope. 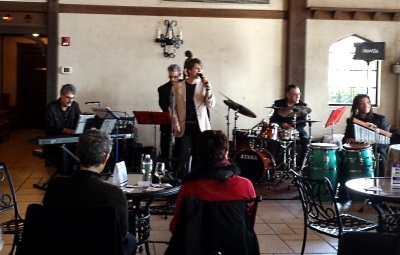 On February 23rd, we visited Raphael Vineyards to hear Gabriele Tranchina and her Ensemble perform a range of Jazz, Bossa, Mambo, and Salsa. 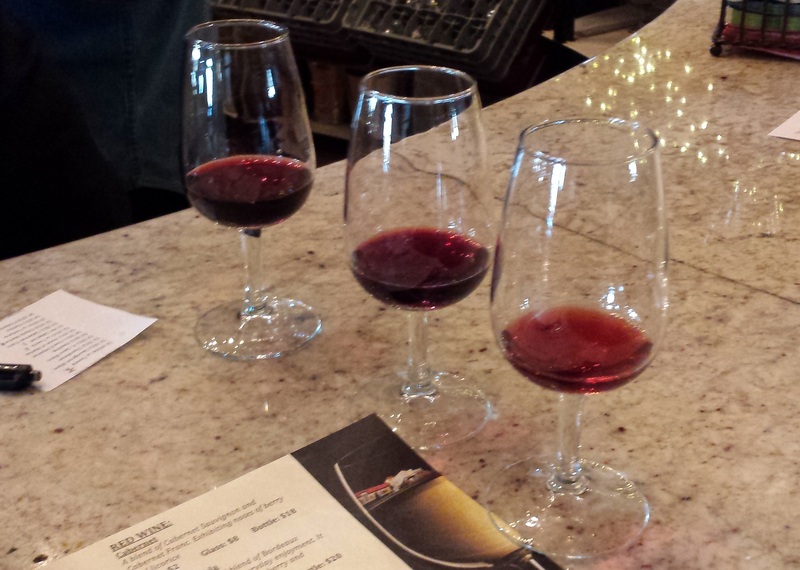 Raphael has a large tasting room space that held the afternoon’s crowd in comfort. It was a crowd indeed, with couples, families, and friends enjoying wine and music. That afternoon, it was warm enough that the open air back deck was a popular redoubt. At all the Live on the Vine performances, your $20.00 at the door buys you a glass of wine, as well as music and camaraderie. At Raphael, we started with their refreshing 2012 Chardeaux, a blend of Chardonnay and Sauvignon Blanc, vinified in stainless. It proved a good wine for our impromptu picnic of sandwiches and chips. Yes, Raphael is picnic-friendly. Soon enough, we moved into the reds, which we have enjoyed before, and reviewed in a prior post. So, two corks up for venue and wines. What about the music? How do you appraise music that you like, but for which you have no formal understanding? Like this… Marian and I loved what we heard Gabriele sing and her ensemble play. Many were original works, written by her husband, Joe Vincent Tranchina, who was on keyboards. Gabriele, a beautiful woman with a beautiful voice, was described by music critic Dr. Roberta E. Zoklower as “…German-born, Parisian chanteuse with Brazilian stylings, a cross between Ute Lemper, Mireille Mathieu, and Tania Maria.” Well, I couldn’t have said it better, so I didn’t try. Marian enjoys Ute Lemper’s work, and she picked up on that connection early in the performance. 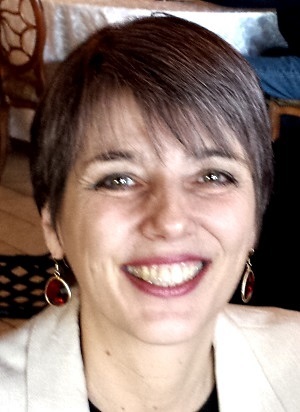 Beyond her beauty and talent, I can tell you that Gabriele is warm and friendly. She took the time to answer questions for me, in person, and followed up with email. Mr. Tranchina is one lucky fellow. Take a few minutes and visit their websites. These are serious musicians that, with Gabriele, put on an amazing show. With talent like this on offer in a beautiful winery venue, Live on the Vine is a terrific opportunity to enjoy yourself. Gabriele was kind enough to send me the playlist for this performance, and I’ll share it with you. Here, in the order of performance, is what we heard. Did I have a favorite? It was Strap Hangin’, but I can’t tell you why. Next time someone at a wine tasting tells me they like one selection in particular, but they can’t tell me why, I will understand their conundrum. Two hours of great music and wine were over in what seemed like a flash, but the tasting room remained lively as people enjoyed their wine, and conversation. I can think of no better wrap-up to this small post about Gabriele than to use the quote she includes in her emails. We visited Palmer Vineyards on March 9th to hear Jazz Saxophonist Brian Lenair, and I’ll tell you about his great performance in our next post. Until then, enjoy your trip around town.